2. 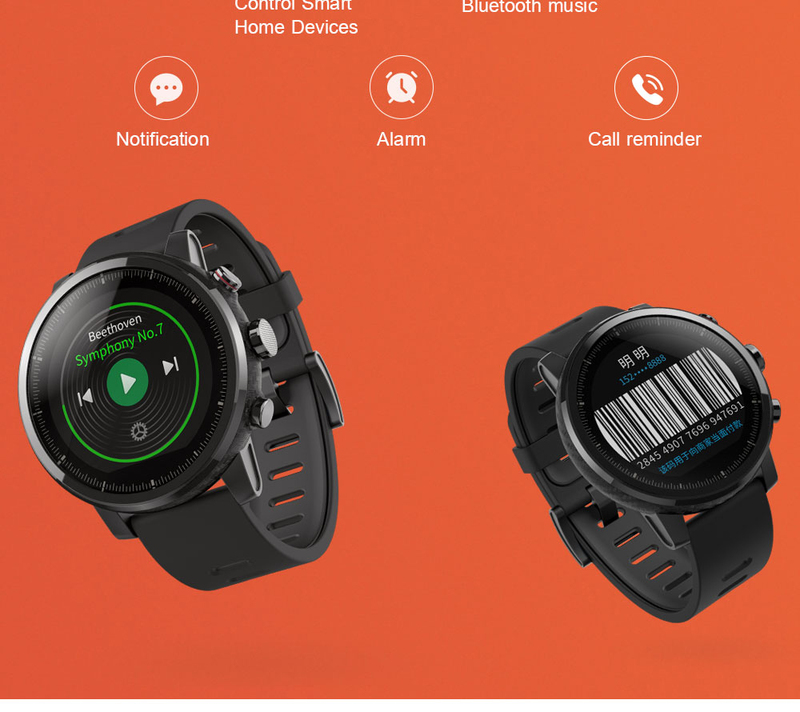 2.5D capacitive touch screen. Hand polished polished ceramic bezel reflects the charming luster, the excellent hardness of the ceramic can also protect it from scratch lastingly. 5. 316L stainless steel physical buttons . 8. 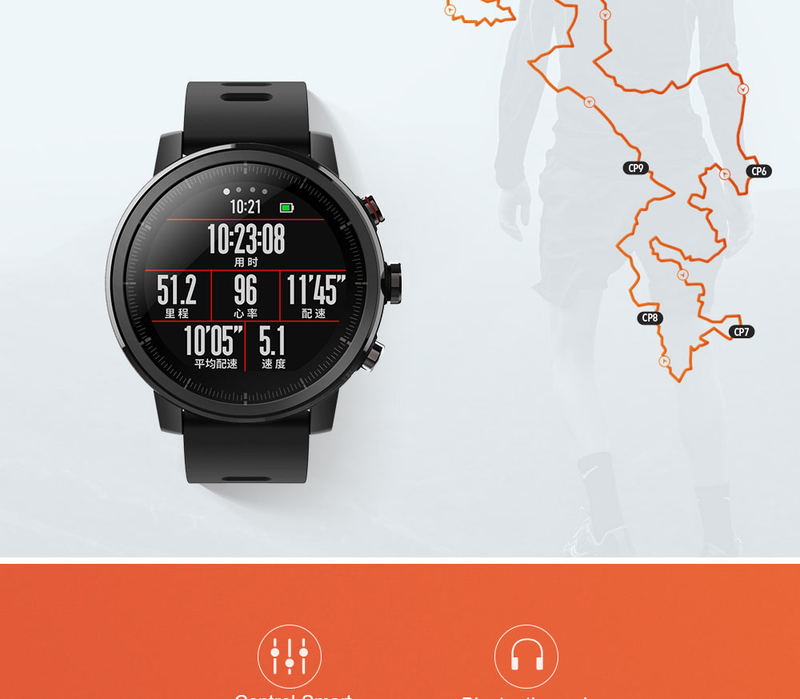 Firstbeat Health Data Tracker. 9. Long time standby for 5 days. 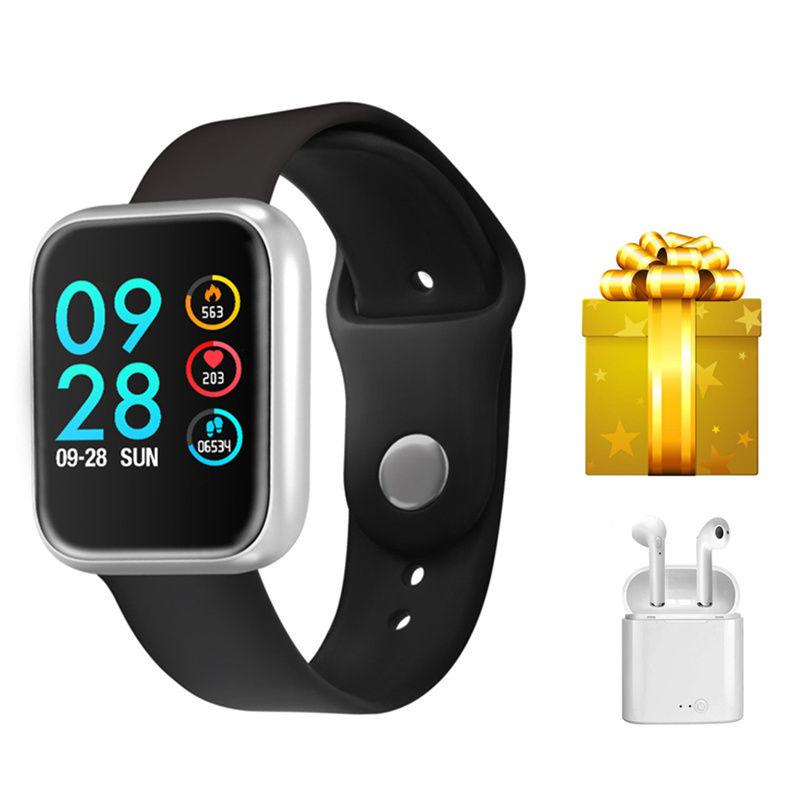 Connect wirelessly to Bluetooth earbuds and enjoy music with the internal storage for unencumbered phone-free running. 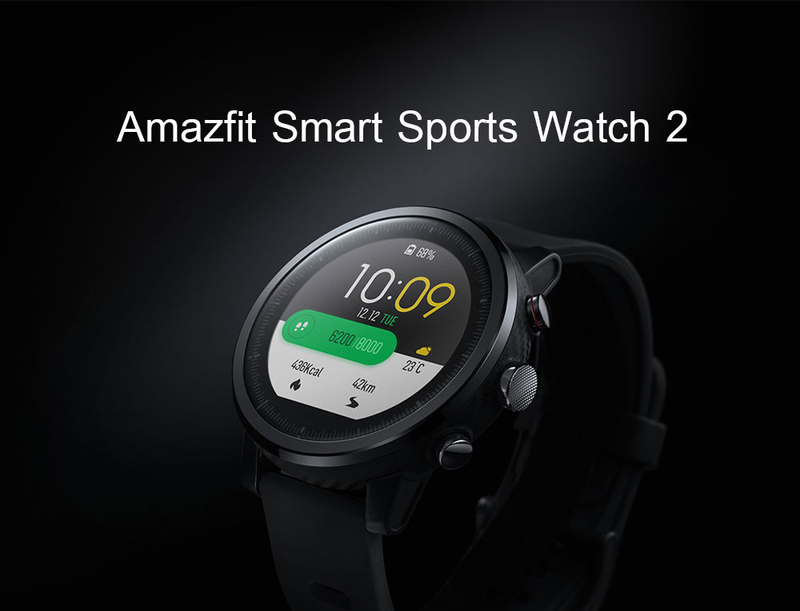 With the new Amazfit V2.0 ,you can connect the app wih the smartwatch,sync data and can look over activity data and exercise in the daily life,,update all the data to your smartphone. 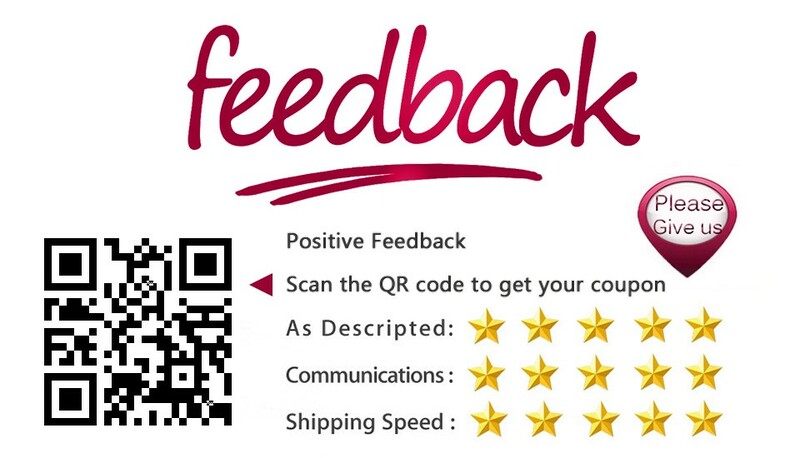 New design, modeling tough, simple atmosphere, sports essence and business style compatible. Whether in the stadium, or in the conference room, better applicability. Fusion of a variety of materials Process: 2.5D arc glass mirror; painted with a detailed 60 minutes;reflective color display even in the sun can be clearly displayed; hand Polished polished ceramic bezel reflects the charming luster, hardness Excellent ceramic can also withstand the daily scraping, timeless. 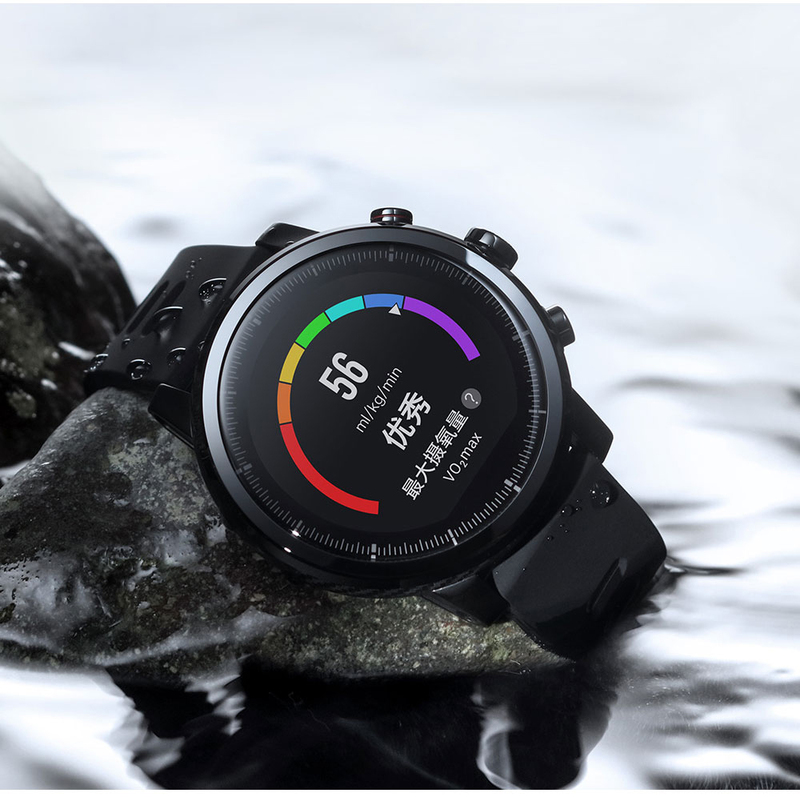 Three 316L stainless steel physical buttons plus touch screen, control more convenient; the case of the whole body using 3D laser carbon fiber texture, making the watch texture better. 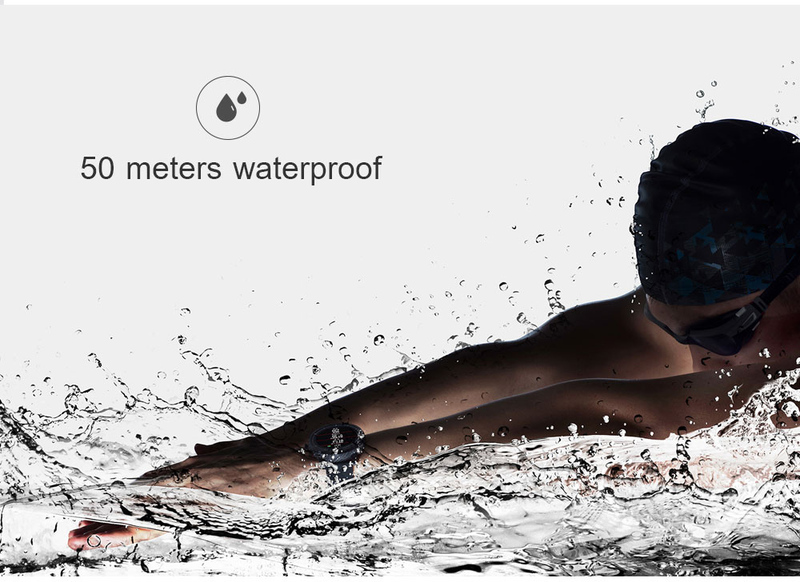 Water-resistant to 5ATM (equivalent to water pressure of 50 meters underwater), not only to wear swimming, you can also record the data when swimming, and support open water and swimming pool two modes. 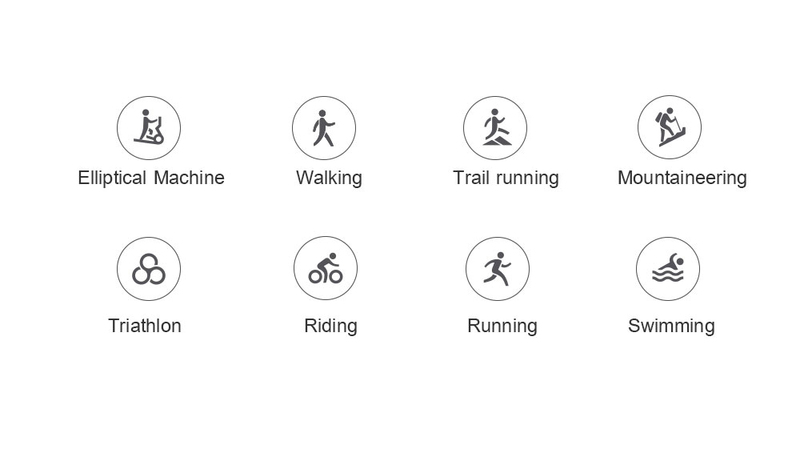 running, walking, outdoor riding, swimming pool, open water swimming, indoor running, indoor riding, elliptical machines, mountaineering, cross country running, Triathlon. 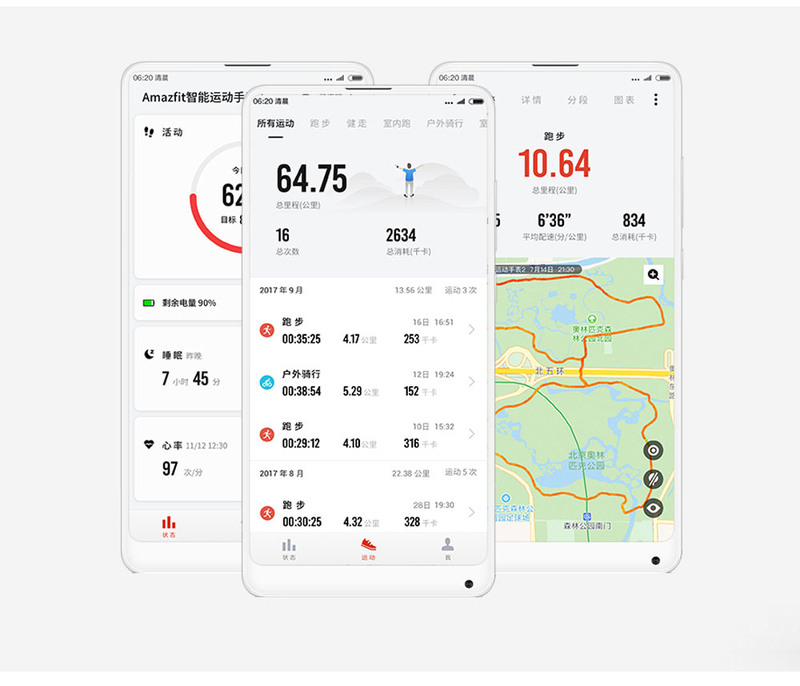 gives a wealth of physical exercise indicators: maximum oxygen uptake (VO2max), exercise effect (TE), Exercise load (TD) and recovery time required.